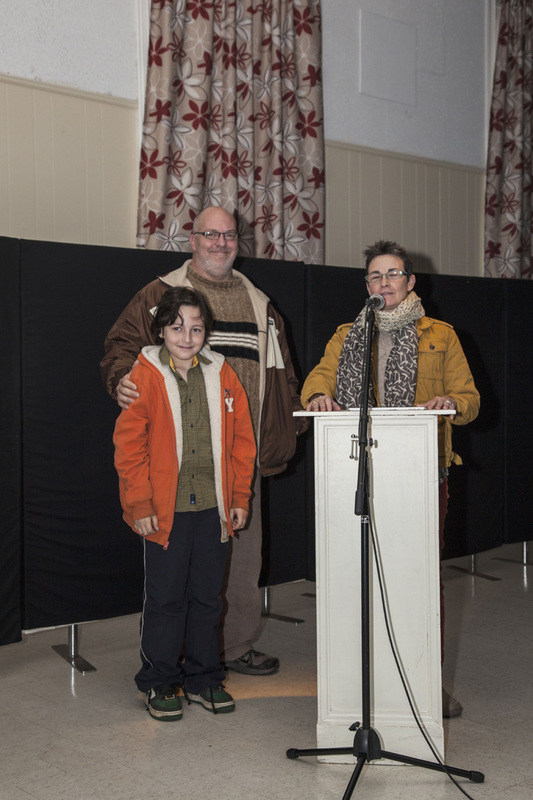 The fifth annual Parrsboro Film Festival wrapped up on Sunday after a weekend of features, short films and special presentations. Friday's Gala Night began with delicious appetizers provided by the BlackRock Bistro and served by student volunteers Victoria Wilson and Cassidy Gilbert. 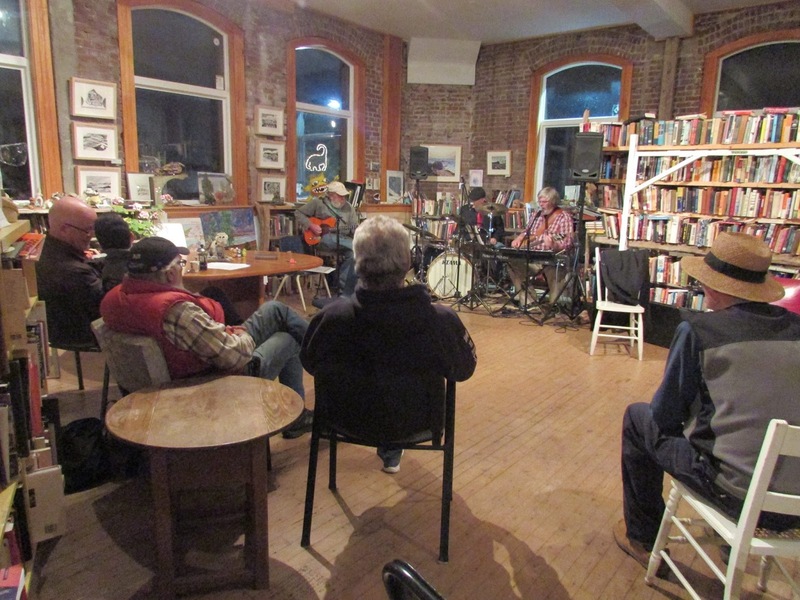 After Co-Chair Lori Lynch welcomed festival participants, Rob Bentley led the Parrsboro Jazz Combo in a medley of original music, and tunes contemporary with the 1928 silent film Speedy . Excepts from Speedy played on The Hall's drop-down screen (a new addition since last year's festival, much appreciated by both audience and film-makers). 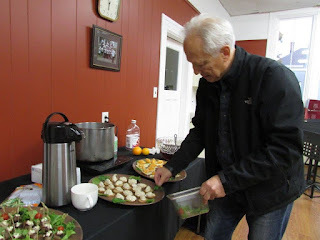 The feature films began with a documentary about the revitalization of Cape Dorset through its artists community, followed by a short presentation by Michael Fuller on the similar efforts made by our local group, Parrsboro Creative. 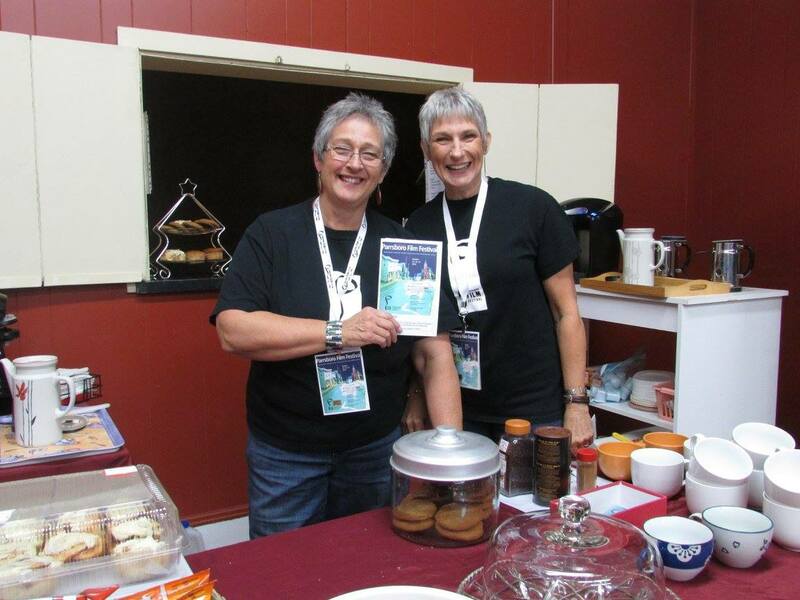 During breaks between films, Brenda and Doreen Wheaton prepared lattes and served delicious homemade treats, donated by volunteers. After the day's screenings, Harvey Lev hosted After Hours parties and dancing at Main & Station, on both Friday and Saturday night, with live music provided by the Wazoo Band. Saturday was film-makers day, with speakers for both short and feature-length films. 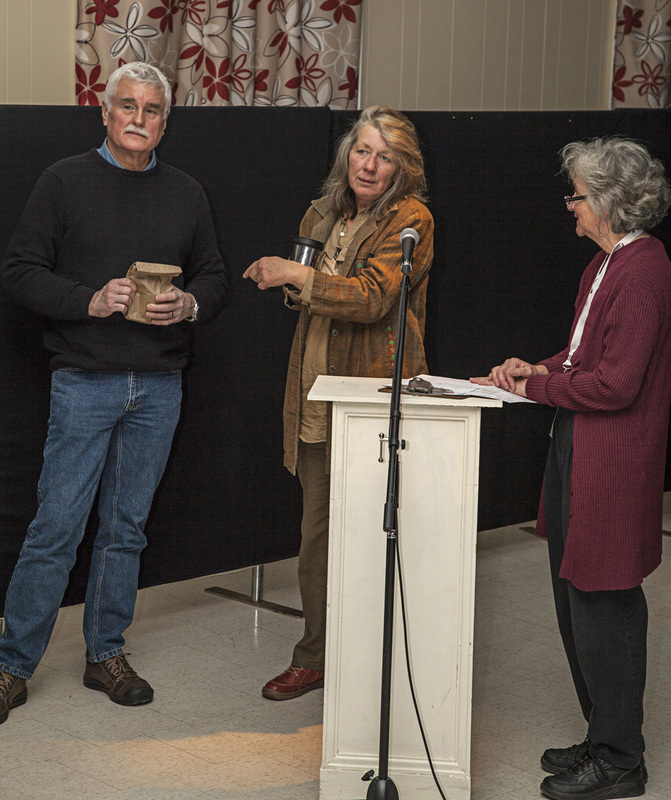 Local stone mason Heather Lawson and Canning wood-turner Steven Kennard spoke after the screening of six short films about Nova Scotia artists, made by Halifax-born Ben Proudfoot of Breakwater Studios, Los Angeles. "Stone," the segment about Heather Lawson, won Audience Favourite Short Film for the festival. Saturday afternoon featured documentary films and discussions with festival veterans Jason Young (Wild & Dangerous: The World of Exotic Pets) and Jackie Torrens (My Week on Welfare). 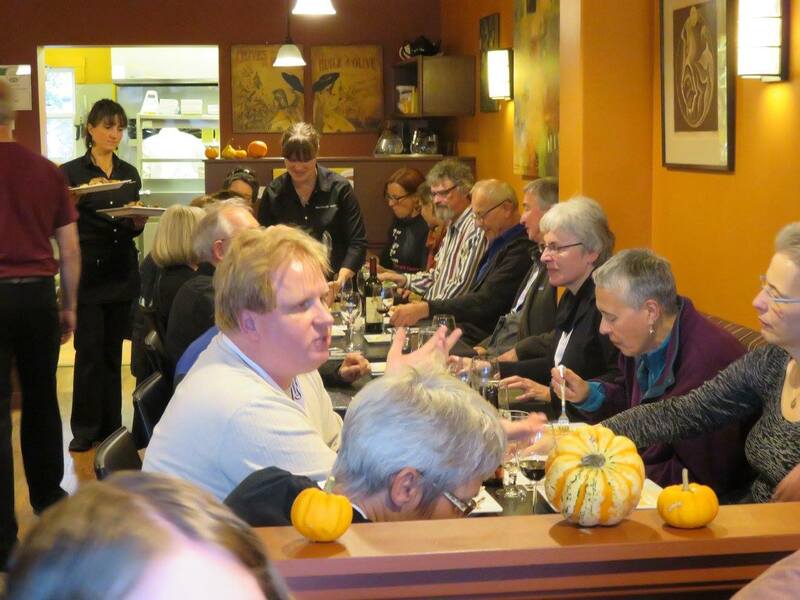 Discussions undoubtedly continued during the annual Festival Dinner, hosted by BlackRock Bistro, with guest chef Doug Wilson. Saturday evening was devoted to screening and discussing two films: Danny, a portrait of Newfoundland's ex-premier, Danny Williams, and Cast No Shadow, a haunting film about a troubled boy in a remote community. Director William D. MacGillivray spoke with his film Danny and award-winning actor Mary-Colin Chisholm spoke about the making of Cast No Shadow, which won the Audience Favourite Feature Film award for this year's festival. Sunday morning began with another film introduced by its director. Burning Rubber, by Ariella Pahlke, is a unique documentary about the meeting of two worlds: smoking tires and art. The discussion afterwards was one of the most exciting parts of the festival! asks projectionist Rod Tyson to boost the sound for Burning Rubber. Short films and a one-minute stop motion movie, made especially for the festival, filled the rest of Sunday morning. Krista Wells, of the Art Lab, (Parrsboro) ran a stop motion animation workshop before the festival. Along with the people who worked on the film, Krista led a discussion with the audience about this process. 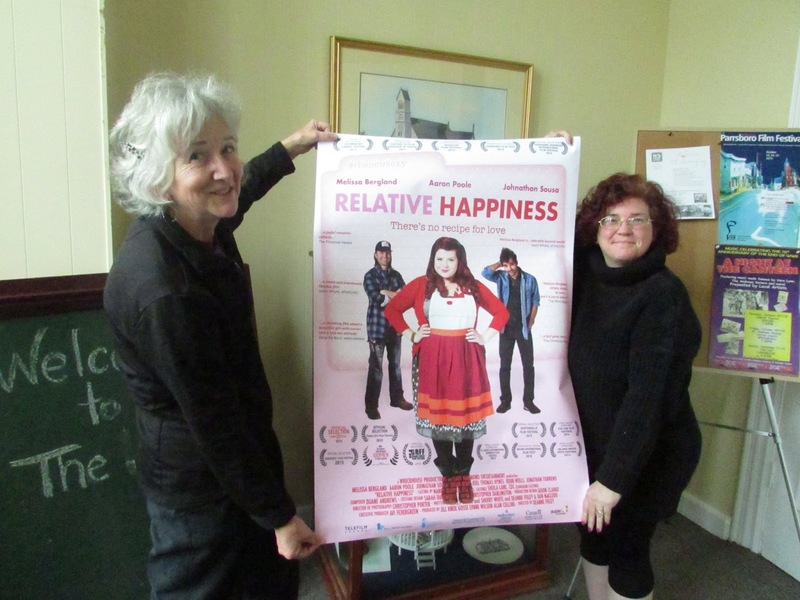 Two feature films rounded out the program on Sunday afternoon: Heartbeat by Halifax director Andrea Dorfman and the romantic comedy-drama Relative Happiness by Newfoundland film-maker Deanne Foley. Jacquie Wilson won the poster for Relative Happiness in a free draw before the film. This year's festival was our most successful and that is largely due to our volunteers who created art, took pictures, manned the doors, sold concessions, hung posters, worked the social media, helped visitors, gave (and made) interviews, sold merchandise for the film-makers, decorated The Hall--and cleaned it afterwards--and accomplished all the other jobs that made the 2015 film festival a success. On behalf of the festival committee I would like to thank everyone who participated in the festival: film-makers, volunteers and especially the audience. 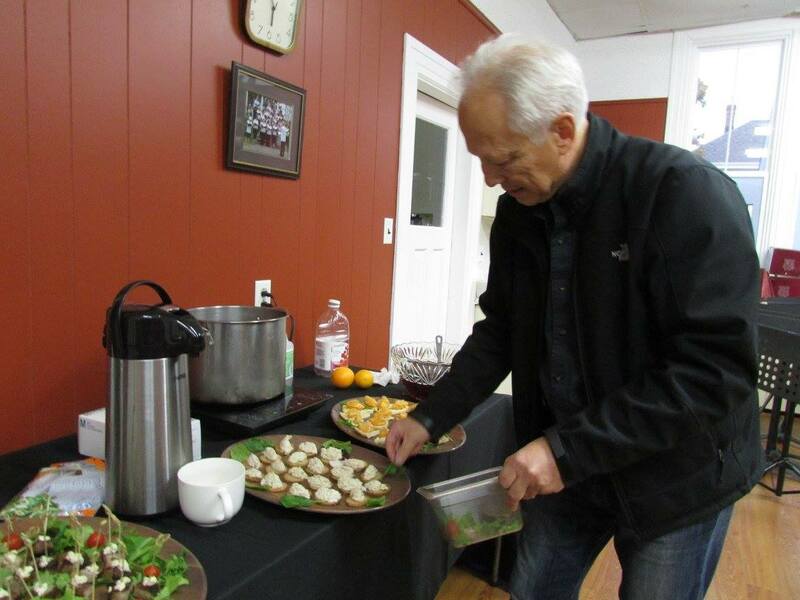 Parrsboro's little festival is becoming known as an intimate, friendly venue that both film-makers and audiences enjoy and I thank you all for making that possible. Helen Tyson, who came up with the original concept of, and has been one of the driving forces behind the Parrsboro Film Festival has been contacted by Telefilm, Canada which last year was inspired, in partnership with the National Film Board, to have Canada as a nation join in a new global short film festival: The Shortest Day Short Film Festival. Apparently this event was first held in Canada in 2013 and the PFF has now caught the eye of the national organizers and so Helen was approached with the possibility of The Hall hosting this free event on Saturday 21 December 2014 (The shortest day of the year). Some additional information is available here. All of this information is taken directly from the Telefilm website and was initially posted on December 5, 2013. The wonderful and thought-provoking films continued on Sunday for the 4th Annual Parrsboro Film Festival! Order of Nova Scotia recipient Dr. Henrietta van Gurp was here to introduce "Teaching Peace in a Time of War" - this inspiring documentary follows her journey in providing a more peaceful framework for school children in war-torn Serbia. In the Q&A that followed, many comments and questions were raised - engaging the audience! Our final film for the 2014 festival was The Grand Seduction (Directed by Don McKellar) We now understand why it was a favourite at the Toronto International Film Festival and the opening film of the 2013 Atlantic Film Festival. The Grand Seduction is one of the top grossing indie films of 2013 - it's definitely a MUST-SEE! The Audience Favourite Feature Film of the weekend: (80 minutes or more): Arctic Defenders (written & directed by John Walker) while Leah Johnston is this year's winner of both Audience Favourite and Jury Selection for "Another Man" in the Short Film category. The weekend included a special surprise for the audience - a brand new film hot of the presses! There will be a YouTube link to follow soon. In the meantime, an animation workshop was held Oct 25th from 2:00pm to 5:00pm! Thanks to Krista Wells for putting the workshop on! Krista Wells leading the animation workshop. 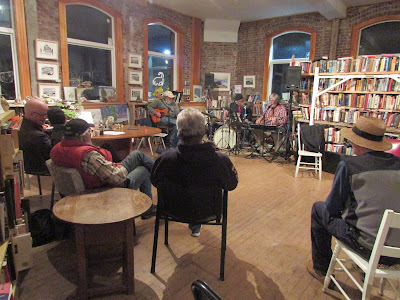 And we were so excited to have a second venue this weekend, Nonesuch After Hours, hosted by Judith Bauer and Harvey Lev at Main & Station (formerly the Old Post Office). It was a great line-up, which had to be expanded to three nights, to accommodate all the programming! Thanks to Harvey and Judith for donating the time and space for this free event! 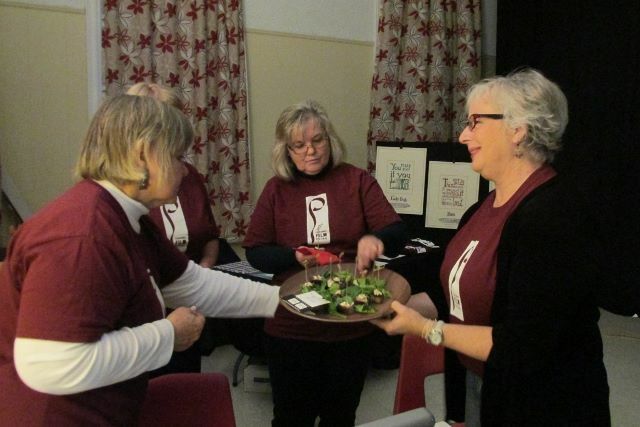 Saturday proved to be a film buff's dream at the 4th Annual Parrsboro Film Festival. Beginning in the morning with the short film competition, through an afternoon of two significant documentaries festival goers were able to relax at the Festival Dinner before attending screenings of two feature films. 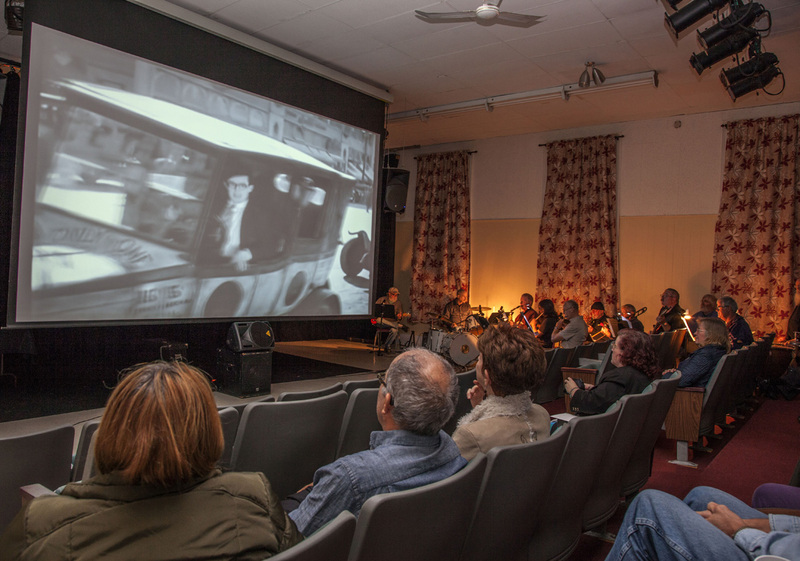 And then of course if that were not enough, the truly dedicated film fans headed up the street to see more fine films until the wee small hours at Nonesuch After Hours. The second day of the 4th Annual Parrsboro Film Festival: Starting at 10:00am, the Short Film Competition took place followed with a few minutes for voting. Before breaking for lunch, Glen Matthews' “Saving Face” was shown. Today's audience also enjoyed the documentary “Edge of East” and had some great questions during Q & A for its Director, Jackie Torrens, and producer, Jessica Brown. They then headed off to PEI for another screening at the Island Media Arts Festival. Writer/director Jason Young introduced "Inside Time", his documentary portrait of convicted bank robber Stephen Reid, a member of the notorious 'Stopwatch Gang' He then remained for a highly entertaining and informative Q & A. Festival patrons then took a break to participate in the Festival Dinner. This permitted both guests and organizers the opportunity to unwind and discuss the wonderful films seen so far in the weekend, while enjoying a fantastic dinner with friends a the the BlackRock Bistro. Some of the pleased, if exhausted members of the festival relax over dinner. The day then continued with another evening of amazing films. After dinner The Hall quickly filled up for a screening of "Copperhead", and after a very brief intermission, the last feature of the day "Roaming" was introduced. And for the truly dedicated, once again more films were screened beginning at 11:30 at Nonesuch After Hours. Trays of gorgeous snacks welcomed opening night guests. Lori welcomes all to the Festival. Following the reception all attendees were welcomed by Lori Lynch who then introduced Rockey Warren to speak about and introduce the special viewing of the new promotional video for Parrsboro and Cumberland County. Rockey Warren speaking about the new promotional video and its making. The rest of the evening was filled with two amazing films "Arctic Defenders" and "Bounty: Into the Hurricane". Helen introducing the two main films of the evening. 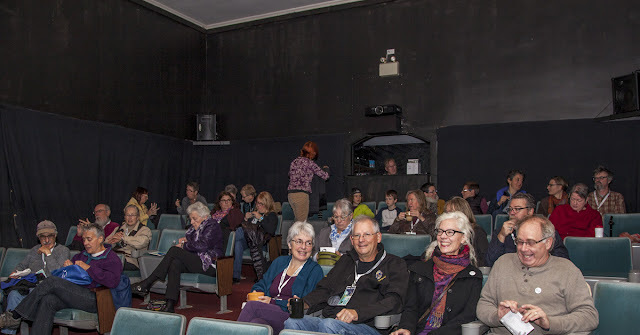 Once again the Parrsboro Film Festival is thrilling audiences with a wide selection of quality films. From a documentary on the loss of the Bounty on Friday evening through a stellar lineup at the Short Film competition to this evening's feature films the festival continues to reward audiences with a quality experience. Of The addition of 'late night' viewing with the Nonesuch After Hours events has enhanced the overall enjoyment of the weekend by all. Rob Bentley and Rod Tyson checking the quality from the control booth. Of course not everyone is 'out front' as the festival could not happen without the technical support provided from the darkened control booth. Here is the list of successful submissions to the Fourth Annual Parrsboro Film Festival Short Film Competition. Congratulations, good luck and thank you to everyone who participated. These films will be shown on Saturday, October 25, between 10:00 am and noon, at The Hall, 44 King Street, Parrsboro, NS. If your film is being screened, you may attend free of charge but please let us know ahead of time so we can reserve seating for you. Show your Gold or Silver Pass for admission or buy individual tickets to this session for $10 (no extra tax). Both the audience and the jury will choose winners in each category (under 5 minutes, and 5 to 20 minutes) and the winners will be presented with a certificate. For more information please contact Helen Tyson at helen@tysonsfineminerals.com or (902) 728-8364.